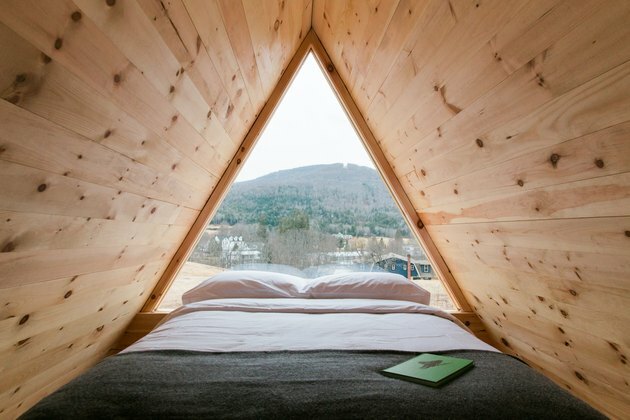 A new and quirky hotel in upstate New York aims to coax visitors — especially city folks — into a chill state of mind. Think Scandinavian decor that perfectly frames views of the outdoors, including the Windham Mountains. 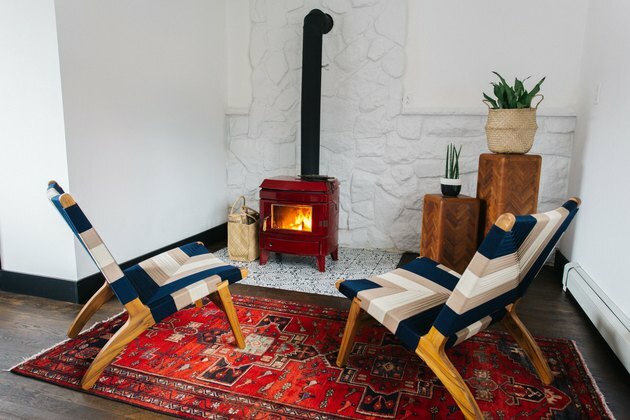 "The entire property was designed with the 'Nordic _lagom_' concept, meaning not too much, not too little," says Julija Stoliarova, co-owner of Eastwind Hotel & Bar, which she and a group of friends opened earlier this year in Windham. 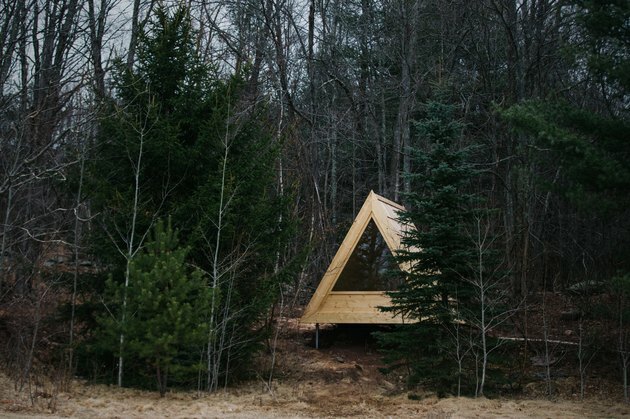 In other words, this is not your run-of-the-mill cabin with stripped-down amenities and style. Instead, a curated selection of art and decor fills each of the 19 rooms and suites. Stoliarova likes to call it "a midcentury look with a hint of clean urban design energized by the hotel's backcountry." And for those who want an even more remote experience, small, freestanding A-frame cottages embrace country minimalism even more. 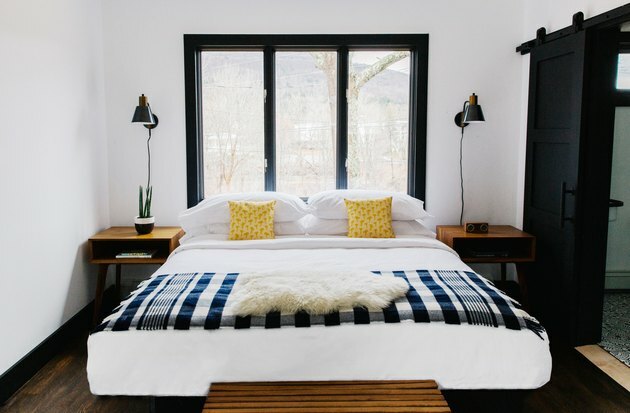 "We wanted to create a cool, cozy spot in the Catskills that would be a great escape from hectic city life," says Stoliarova. Mission accomplished. The Bunk House and Hill House guest rooms feature custom bed frames outfitted with white Frette linens, lounge chairs and ottomans by Masaya & Co., plus Bongo's Otis & Eleanor bamboo speakers. Vintage Turkish rugs and Minnesota-made Faribault Woolen Mill Co. merino-wool throws introduce soft textures. 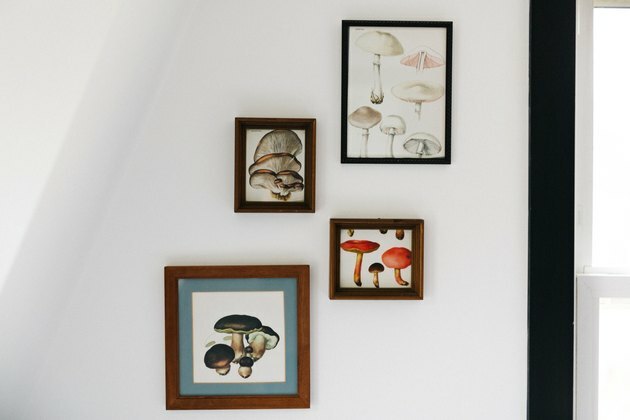 For this quartet of framed mushroom prints hung in one of the rooms, Stoliarova turned to her collection of vintage textbooks about mushrooms. "I used to forage for mushrooms in Lithuania when I was a child. I pored through the pages and ripped out my favorites," she says. "I am very proud of our fun wallpaper in our rooms and bar," says Stoliarova. 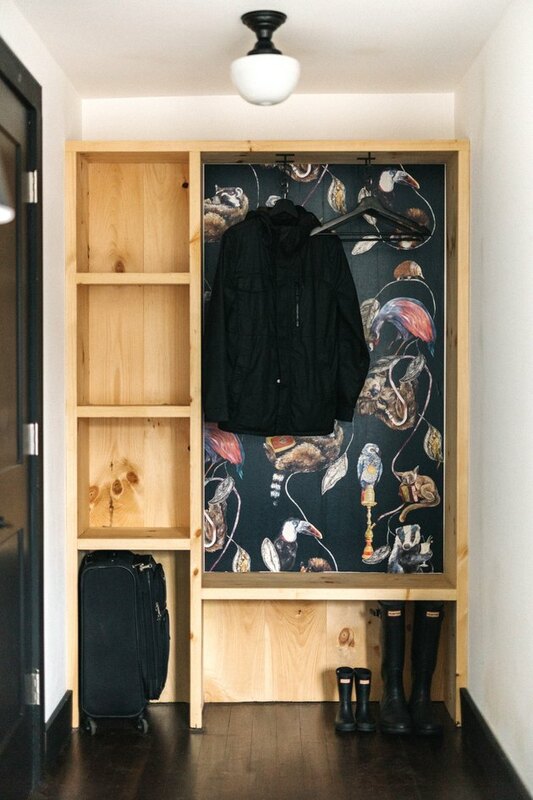 In this closet: Mushroom Forest wallpaper by House of Hackney. A similar version, but with a green background, is available through Anthropologie. "I sourced all of the midcentury furnishings from all over: vintage shops, estate sales, Brimfield Antique Shows ( held outdoors in Massachusetts since 1959 ), flea markets, and more," Stoliarova tells us. 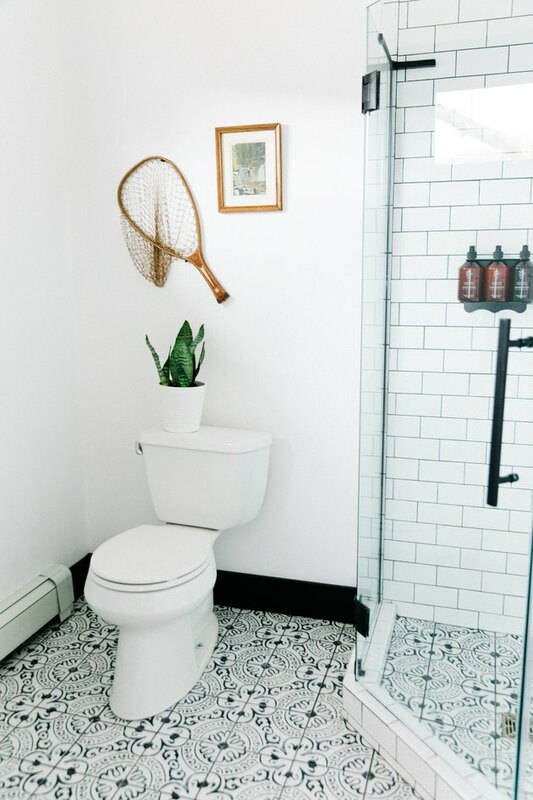 "Our bathroom tiles bring a playful pattern into the minimalist decor," says Stoliarova. 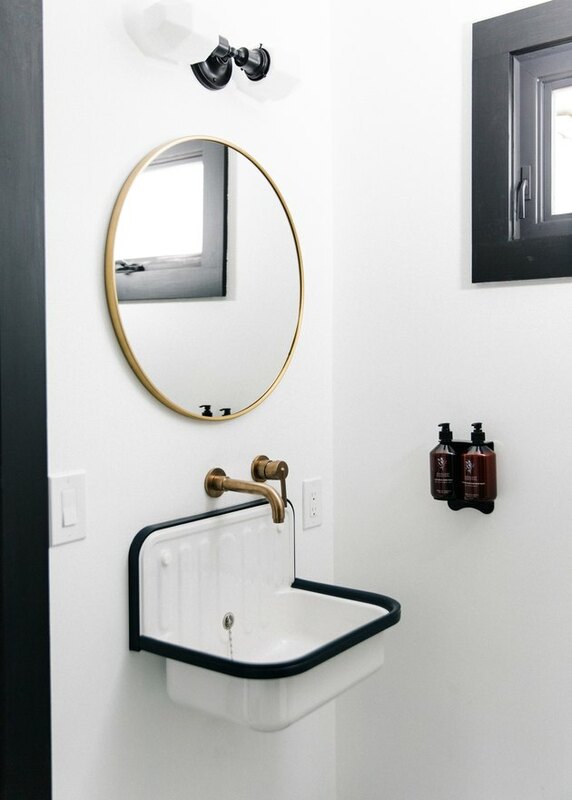 Black barn doors lead into guest bathrooms featuring walk-in showers with rain shower heads. 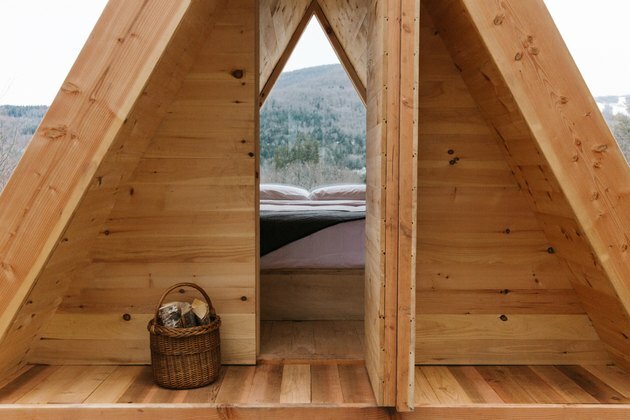 "Our Lushna Cabins embody a Scandinavian notion of camping without sacrificing comforts," notes Stoliarova. Each cabin is stocked with little luxuries, such as Frette linens and Faribault wool blankets, plus they also have private baths. A wireless speaker and sauna are also available to guests.